GO with Friends and Trading Weekend! Time to go out with some friends! Get ready to raise your friendships and do plenty of trading! 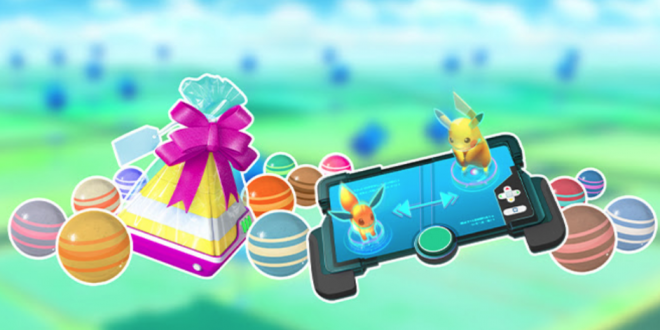 Pokemon GO has announced through their newsletter that this weekend will be a special friendship weekend! Starting on Friday, February 8 at 1 p.m. to Monday, February 11th will be the Friendship Weekend Event. Trainers will be able to increase their Friendships twice as fast. Also, trades will cost half as much Stardust and reward double the amount of candy. It was also announced in the newsletter that there will be a special Valentines Event. There are not too many details about the event. What we do know is that there will be plenty of pink Pokemon to capture. Have fun with your friends this weekend! ← New Funko Pokemon Figures Coming Soon!